St. John’s, NL: Swimming Newfoundland and Labrador is pleased to announce Meredith ‘Duffy’ Earle as Technical Director/Provincial Coach for Swimming Newfoundland and Labrador. Duffy has been the Head Coach of the Mount Pearl Marlins since 2007, served for 5 years as the Director of Competitions on the Swimming NL Executive Committee and 4 years as the Co-Head Coach of Memorial University. In 2010, Duffy became Swimming NL’s only NCCP Learning Facilitator and since then has mentored dozens of young coaches across the province. 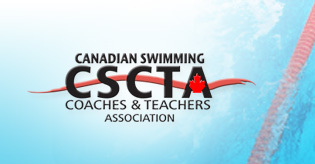 From March 2013 to September 2017 Duffy served as Swimming NL Technical Director and Provincial Coach. Duffy’s proven track record in Newfoundland and Labrador is a testament to her expertise, hard work, and dedication to the sport of swimming.